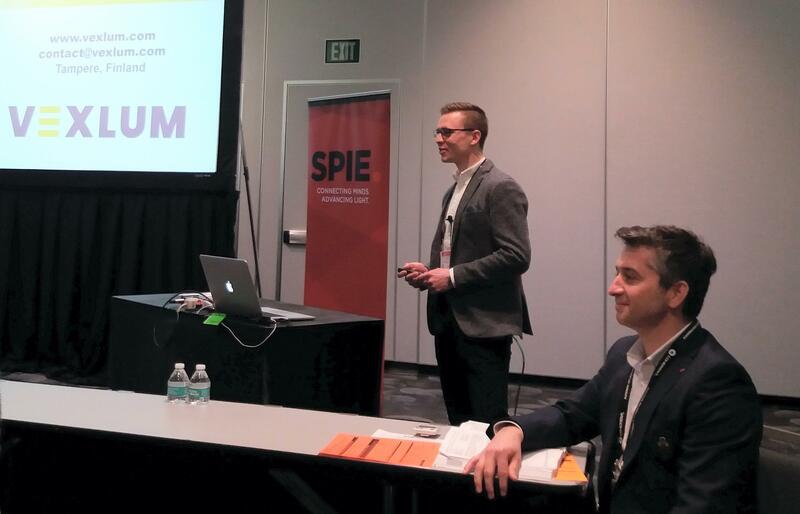 VEXLUM Ltd announced its operation at SPIE Photonics West Conference, the largest photonics science and technology forum held in San Francisco, CA between January 27 – February 1. The announcement was made by Mr. Jussi-Pekka Penttinen, Co-Founder and CEO of VEXLUM, during the technical session outlining the latest development in the area of high-power narrow-linewidth VECSELs (vertical external cavity surface emitting lasers). Such lasers are instrumental for applications in quantum technology and spectroscopy and represent a cornerstone in the development of more practical, compact, and affordable laser systems. Coming from one of the leading research groups in the field, VEXLUM expertise addresses well identified needs and application segments. The business development has been driven by already engaging with the customers from the atomic and molecular physics community, where the first prototypes have been tested. The market entry application is focused on the trapping and manipulation of ions, the building blocks for atomic clocks, frequency references, quantum sensors, and in longer term the quantum computers. While many of these applications are developed by high profile research labs and national infrastructures, we take pride in having our first prototypes already validated by such exquisite customers, tells Prof. Mircea Guina, Co-Founder, CTO and Chairman of VEXLUM. We are powered not only by the technical expertise but also by having access to complete chain of fabrication, from materials, to advanced processes, engineering, and testing. According to Mr. Penttinen, the excitement around forming VEXLUM goes beyond the promise of a disruptive laser technology platform. VEXLUM has received the first orders, and the preliminary feedback after the announcement of the company brings all the signs of a fast development. We look forward with excitement to our first operational year and delivery of the first laser systems in the early summer of 2018. Being a start-up from the Optoelectronics Research Centre of the Tampere University of Technology brings up the legacy of several other successful laser companies operating in Tampere, Finland.